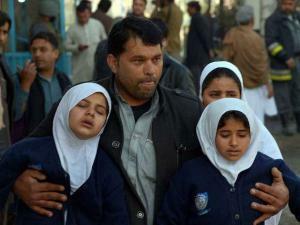 An Afghan man carries two schoolgirls away from a clash site, in Jalalabad, capital of Nangarhar province, Afghanistan. 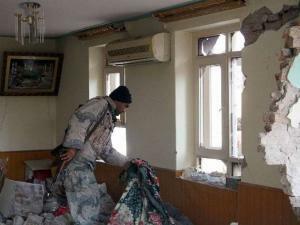 A member of the Afghan security forces inspects a building, used by insurgents to launch an attack on Pakistan's consulate in Jalalabad, capital of Nangarhar province, Afghanistan. 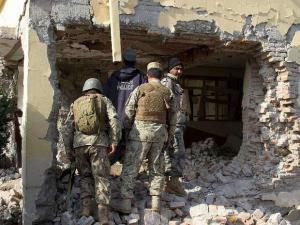 Afghan security forces inspect a building, used by insurgents to launch an attack on Pakistan's consulate in Jalalabad, capital of Nangarhar province, Afghanistan. 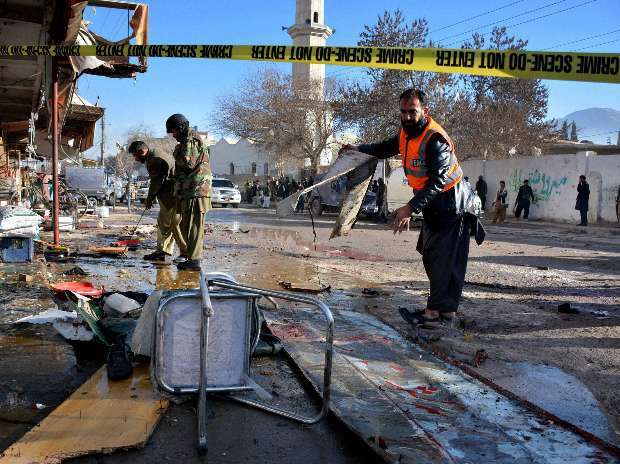 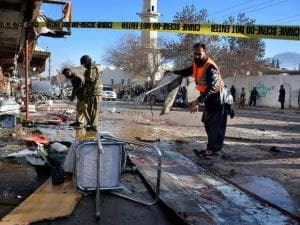 Pakistani security officials examine the site of suicide bombing in Quetta, Pakistan.